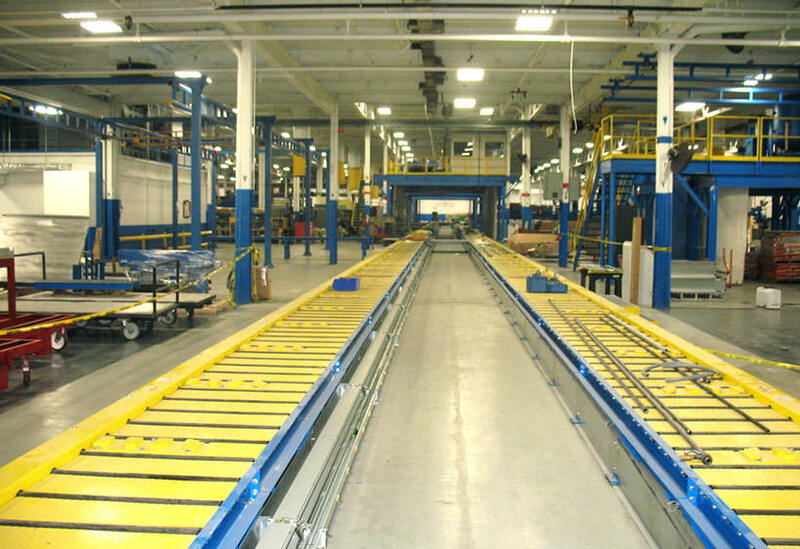 At the request of a large HVAC manufacturer, we designed and built an assembly line for 10′ wide x 50′ long roof top HVAC units weighing up to 50,000 pounds. 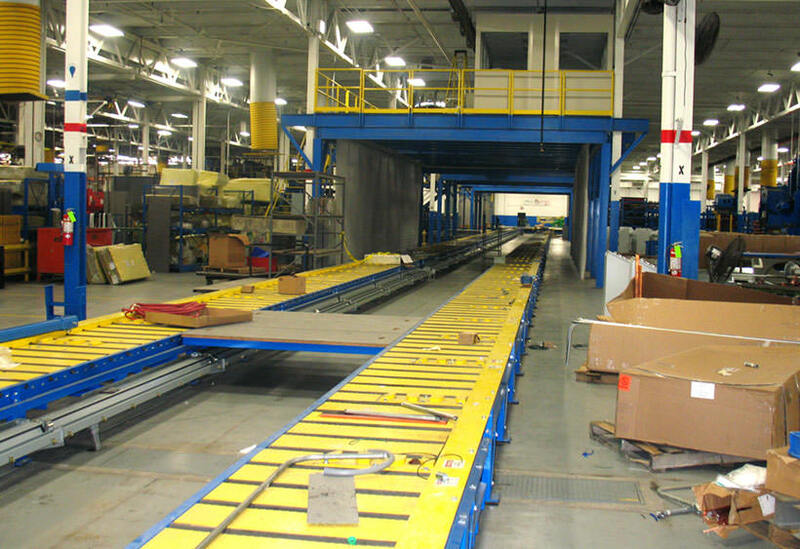 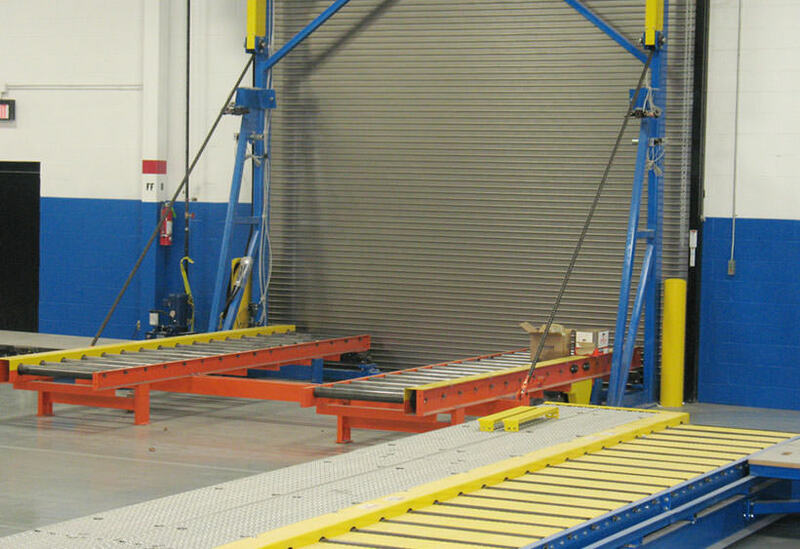 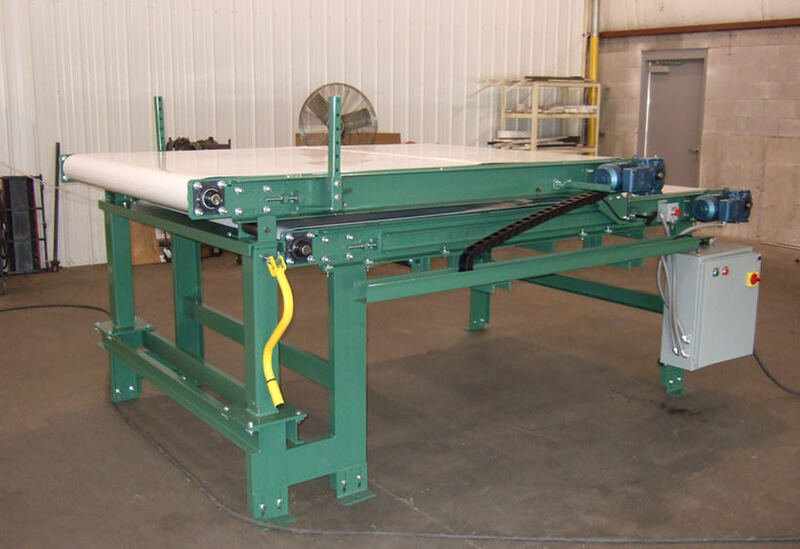 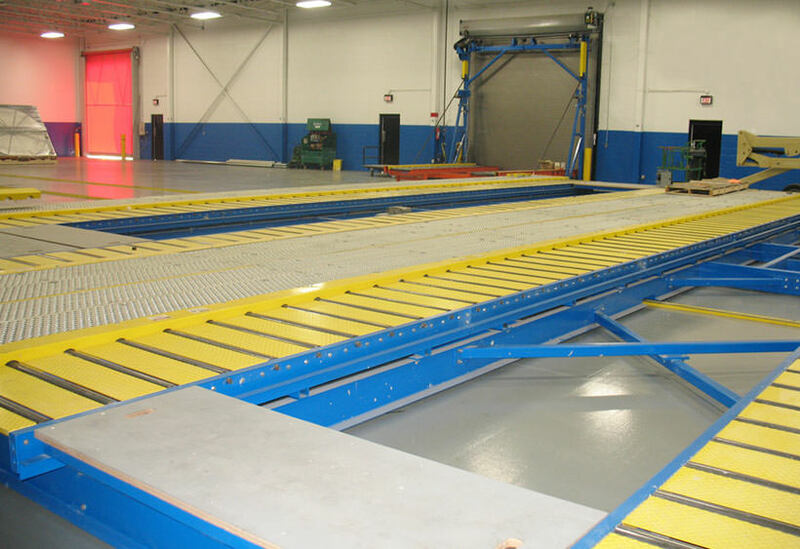 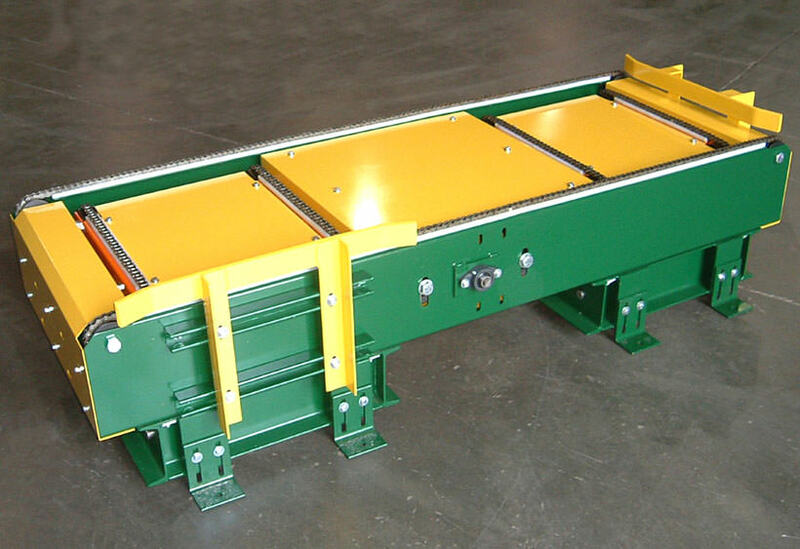 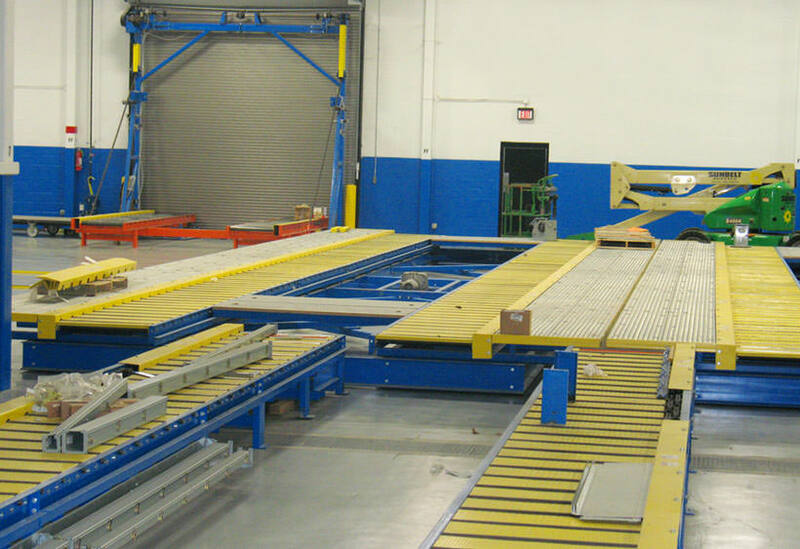 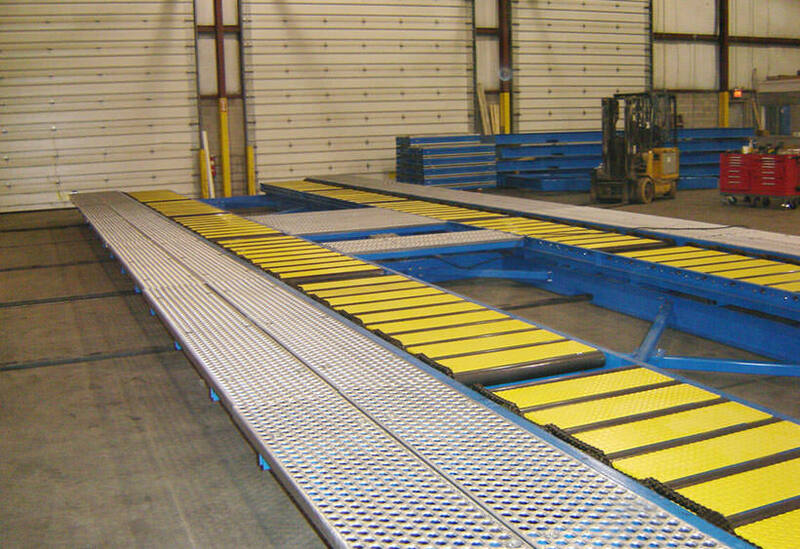 Twelve 60′ long zones of customized CDLR conveyors were included. 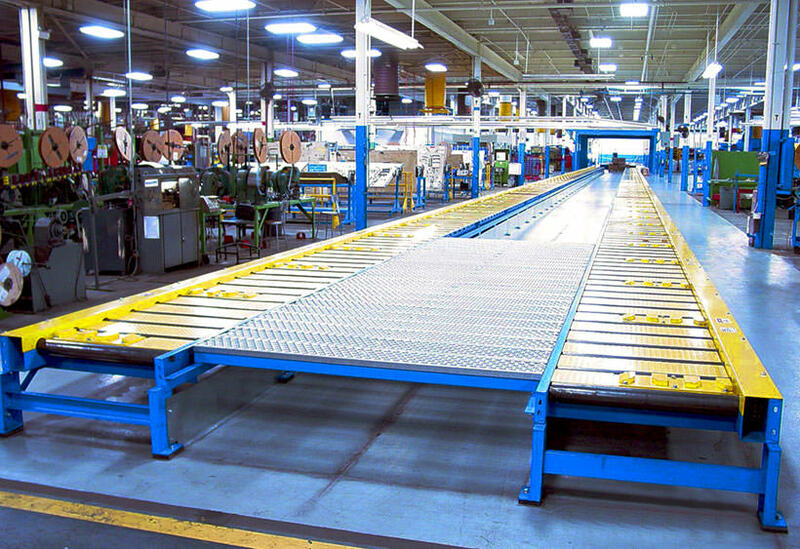 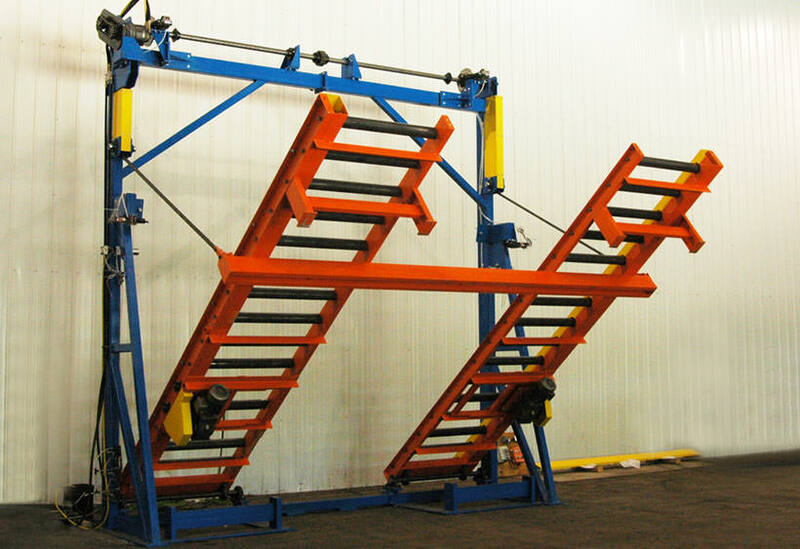 Each zone has tread plates guide bars between each roller, as well as worker decks between the two runs of the split lane conveyors. 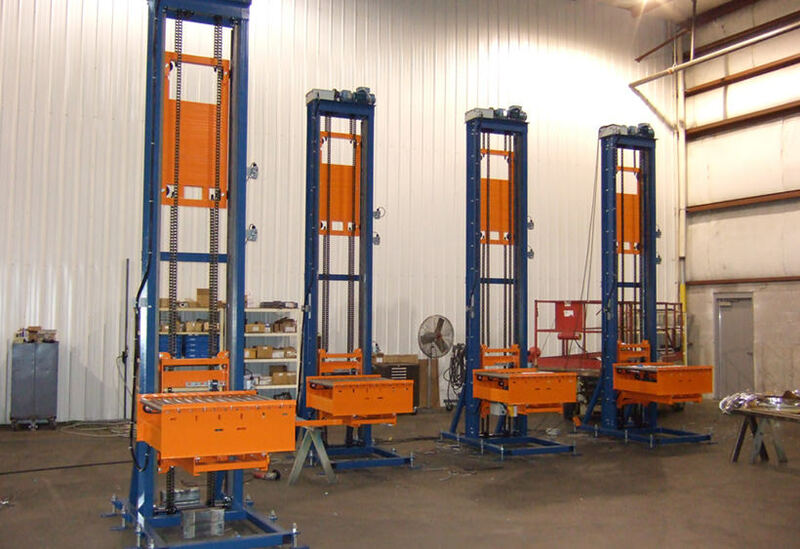 To meet the customer’s requirements for an eight hour system test of each unit produced, we provided two transfer cars that move the finished units to one of three test stands. 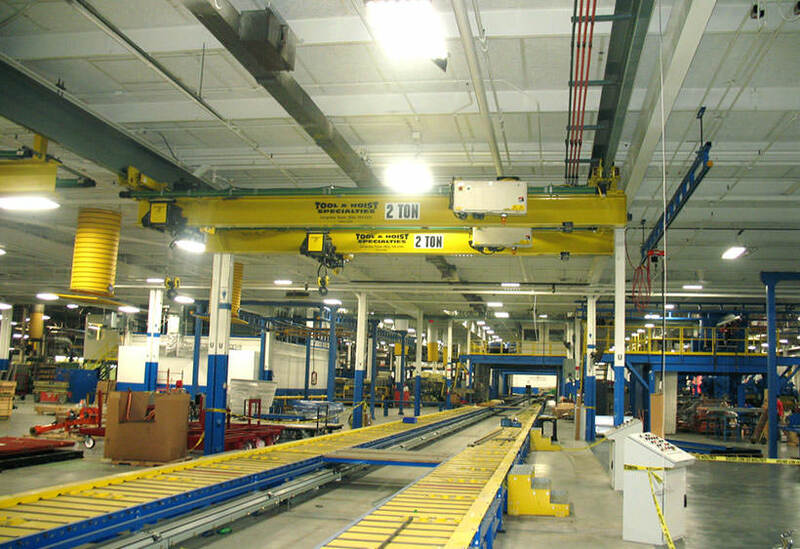 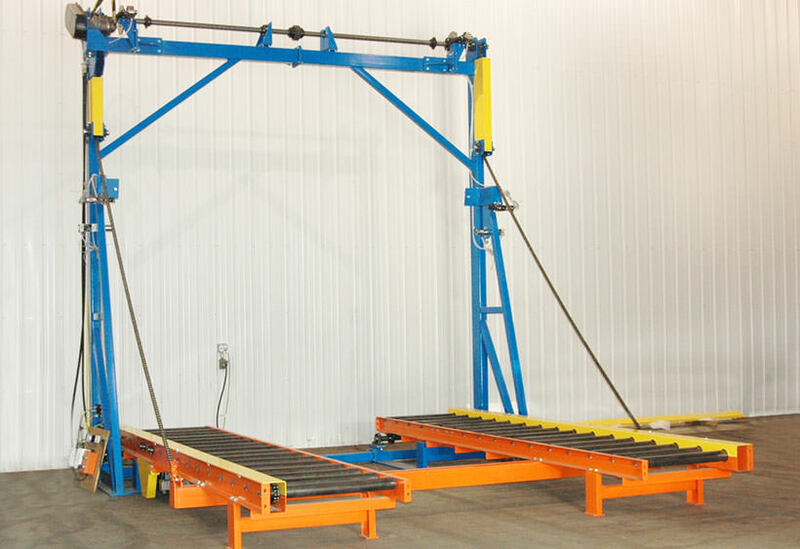 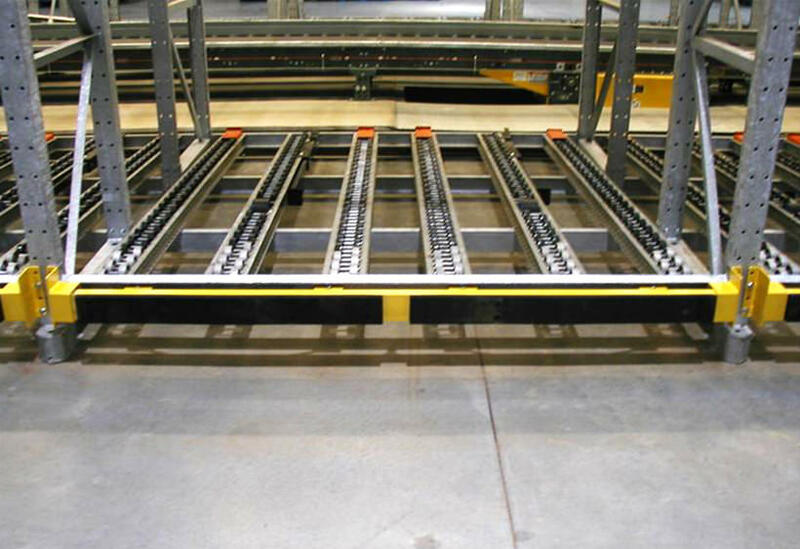 At the end of the system is a conveyor drawbridge that spans an aisle and transfers the units outside of the building onto a conveyor drawbridge for product weighing and truck loading.